Even if they say that the River Safari is not fully ready, because there are areas that are not yet prepared, I know I wanted to go here this year. I just opened recently and it has created a buzz on its own. It’s Asia’s First and Only River-Themed Wildlife Park for crying out loud. Singapore surprised me yet again with this new manmade making. The red dot is indeed creating their own history and masterpieces as we speak. The River Safari is a far off place in “Singapore terms”, but if you come from a country where there are road trips and island hopping choices to select from, this forest-river combination is not a hassle at all. The end point will always be via a bus or taxi ride, though. The MRT rides in Ang Mo Kio, Choa Chu Kang, Woodlands, and Marsiling have direct bus rides that will take you to the River Safari. You’ll know you’re close by once you see nothing but lush trees and missing buildings. It seems easy to forget that you’re in Singapore once you reach this place. I had a preconceived notion that the River Safari will look a lot like the ones I watch on National Geographic. Amazon-river-like feel, wet, scruffy, mosquito-infested atmosphere. But, good thing, the River Safari was not all that. It was far better than brilliant. The place is crystal clean, organized, and accommodating. 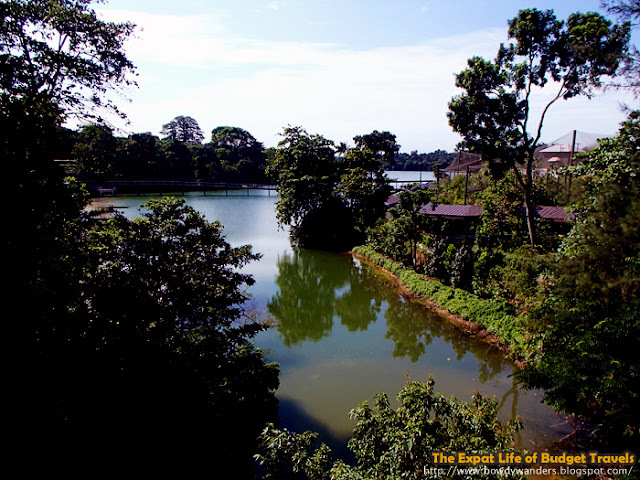 Singapore has made the river safari experience both an educational and inspirational experience. From river themes, such as the Mississippi River, Congo River, River Nile, Ganges River, Murray River, Mekong River, and Yangtze River, every stop is a climax of interesting animals. There are so many interesting sign posts that will make you want to read everything while looking at the creatures behind the each post. They have forest areas, dinning and shopping sites, and shows and feeding sessions too. You won’t even fully notice that there are certain areas still closed because there are more than enough surprises to enjoy from. Whoever said that you need to wait for the River Safari to be finished is either a conservative or risk-averse. Hahaha. But seriously, there are so many brilliant vivid revelations in this river that is just worth seeing as soon as (humanly) possible. Experiencing the giant panda’s feeding session, marveling at the adorable red pandas, and being able to walk around with exotic squirrel monkeys are just some of the favorable experiences here. Being able to see a live piranha, giant river otter, an anteater, and being able to experience an Amazon Flooded Forrest, which is the world's largest freshwater aquarium exhibit, are indeed exceptional.